Will The Police Report Be Evidence In My Accident Case? If you have been involved in a car accident in Washington state – and if you followed all of the steps outlined in Chris Davis’s book, “The Ten Biggest Mistakes That Can Wreck Your Washington Accident Case” – it’s likely that the police were called to the scene of the collision. Assuming the police reported to the scene of your accident, they also likely generated a police report with details about the circumstances of your accident and the results of their investigation to determine what caused the crash. In Washington state, there are a number of law enforcement agencies that could potentially respond to a motor vehicle collision. For the sake of pursuing a personal injury case as a result of a car accident, it’s important that you or a trusted family member keeps track of the responding law enforcement agency. 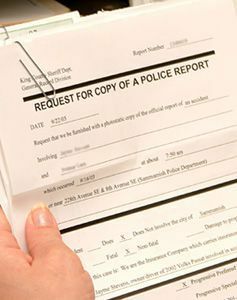 If a police report for your accident was generated, you will want to contact the agency in order to request a copy of the report for your records. If you are involved in a car accident on a highway or interstate in Washington, chances are that the Washington State Patrol (WSP) will respond to the scene of the collision. If the accident does not occur on a highway or interstate, officers from the local police department will likely be the ones responding to the collision. Can A Police Report Help Me Prove I Am Not At Fault For My Car Accident Injuries? A police report can be extremely useful in the beginning stages of pursuing a personal injury claim to recover damages for your injuries, medical bills and lost wages. For one, a police report will have information about the at-fault driver and his or her insurance policy, which is paramount in establishing a defendant and bringing a claim against the at-fault insurance company. Once the at-fault driver has been identified and a claim has been filed with the defendant’s insurance company, a police report can also be used to generate leverage during the early negotiating stages of pursuing a personal injury claim. Because the police report will include detailed information about the circumstances of the car accident as well as a preliminary findings about who was at fault for causing the collision. For example, the police report may include information about the driving conditions at the time as well as the responding police officer’s opinion regarding who is at fault for causing the accident. A police report may also included information about any bystanders who witnessed the accident, which is important because their testimony may be crucial to establishing liability. All of this information can be beneficial to the plaintiff as they negotiate a settlement payment with the insurance company. Are Hearsay and Police Reports Evidence in Court? Unfortunately in most instances, police reports are often unhelpful past the point of identifying the at-fault driver and witnesses as well as the defendant’s insurance policy. Because a police report is considered hearsay – that is, it is not direct evidence related to the car accident but rather the police officer’s opinion of the circumstances at the scene – it will probably not be admissible in a civil court proceeding. Because it cannot be used as evidence in court proceedings, a police report will have little impact on the results of a case that goes to trial. However, since a majority of car accident claims never even make it all the way to trial, police reports are often used to generate leverage during the negotiation process of a claim, which is long before a trial would ever take place. 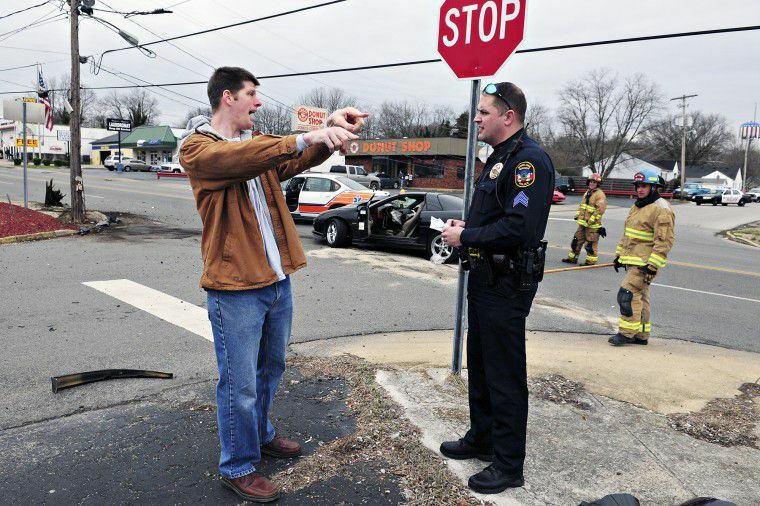 The earlier that a car accident victim is able to identify the proper law enforcement agency that responded to the scene of the collision, the quicker that person will be able to obtain a police report with vital information about the accident. That way, the plaintiff will quickly be able to identify the at-fault driver and uncover information about their insurance policy. Identifying witnesses in a timely manner is also an important aspect of a personal injury case, because witness statements are more accurate and credible early on in the process. Can Hiring An Attorney Help My Case? If the whole personal injury process – obtaining a police report and using it to determine fault, identify the defendant and their insurance policy, and corralling witnesses for testimony before negotiating a settlement with the defendant’s insurance company – sounds difficult and confusing, that’s because it is. It takes months, sometimes even years, before a personal injury claim is resolved and there are so many things that can be factored into the process that it’s nearly impossible to predict an outcome. Rather than attempting to conquer all of these obstacles alone, many car accident victims will consult with a personal injury attorney to determine if hiring a lawyer to handle the case may add significant value to the settlement or verdict. There is no “calculator” for determining whether or not an accident victim would benefit from hiring an attorney, and it is often best to submit the details of a case to a personal injury lawyer and have their legal staff evaluate the pros and cons of legal representation. It is important to understand that while hiring a qualified attorney can be beneficial to accident victims who have suffered a high level of damages, a large percentage of claims can be negotiated and settled without the representation of a lawyer. If you or a loved one has been injured in an accident and has suffered a high level of damages, contact Davis Law Group, P.S. at 206-727-4000 or contact us to have our legal team review the details of your case.